HO CHI MINH CITY, VIETNAM - Media OutReach - 17 September 2018 - DHL eCommerce, a division of the world's leading logistics company, Deutsche Post DHL Group (DPDHL), announced its partnership with Sendo, Vietnam's #1 local e-commerce platform. 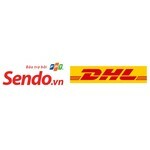 The successful integration between the two companies means sellers on Sendo will now be able to access DHL's excellent domestic delivery network, and deliver to their buyers same-day or next-day in Ho Chi Minh, Hanoi and other primary markets. "Being a homegrown company allows Sendo to have deep understanding of the Vietnamese local market and culture. Sendo aims to support over 300,000 individual vendors, micro-entrepreneurs, and small businesses to initiatively sell their goods online and deliver them affordably throughout Vietnam. With our collaboration with DHL eCommerce, we will provide not only the sellers but also several million buyers on our platform with an international quality delivery experience in Vietnam." said Mr. Tran Hai Linh, CEO, Sendo. To support small businesses, DHL eCommerce also offers market leading cash-on-delivery (COD) services with next-day remittance to sellers. With more than 300 DHL ServicePoints located conveniently across Vietnam accessible to Sendo, sellers can also choose to drop-off their parcels at these locations instead of waiting for a pick-up as well as enjoy discounts of up to 20%. Alternatively, sellers can also arrange for a pickup by DHL for direct door-to-door delivery service to their buyers. "Micro, small, and medium-sized enterprises continue to play a major role in Vietnam, accounting for 98 percent of all enterprises, 40 percent of GDP and 50 percent of employment. However, they face unique challenges such as access to finance and international partners. DHL is passionate about supporting small businesses and we are excited to work with Sendo to support their sellers with an excellent, high quality domestic delivery network." said Thomas Harris, Managing Director, DHL eCommerce Vietnam. To mark the start of the partnership, DHL eCommerce and Sendo will offer special promotions for sellers during the month of September. To find out more, visit: sendo.vn.